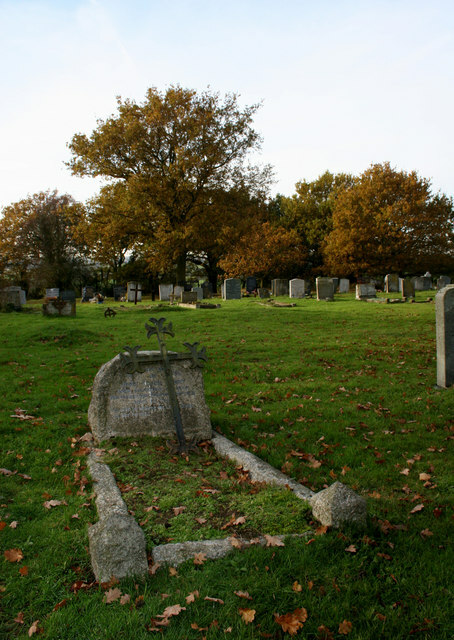 Latchingdon (St. Michael) Churchyard in Essex contains a single burial from the First World War. The soldier buried here was a Company Quarter Master Serjeant of the Yorkshire Regiment, Edward William Myers. St Michael's Churchyard in Latchingdon is a peaceful and carefully preserved churchyard, and is situated on the B1010 Lower Burnham road. The church itself has been decommissioned, and is now used as a private residence. The Latchingdon War Memorial plaque which used to be in the former St Michael’s Churchhas been moved to Chelmsford Museum. 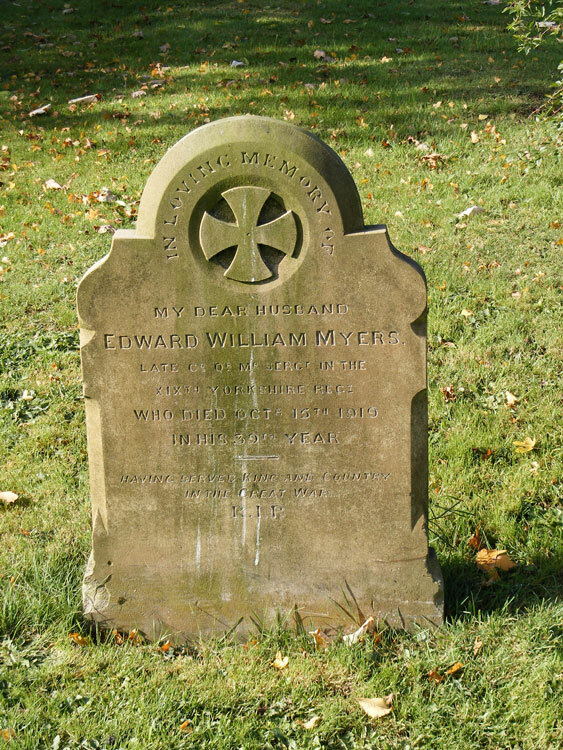 The photo of CQMS Myers' headstone has been kindly provided by Paul, of http://www.flickr.com/photos/harlowirish/. The photo can be found in http://www.flickr.com/photos/harlowirish/2981085316/. WHO DIED OCT 15TH 1919 IN HIS 39TH YEAR. Company Quarter Master Serjeant Edward William Myers. 9056. 8th Battalion Yorkshire Regiment, transferred to (317913) Labour Corps. Son of Frederick William & Augusta Charlotte Myers. Husband of Eden Myers. Died at home 15 October 1919. Aged 38. © Copyright terry joyce and licensed for reuse under this Creative Commons Licence.